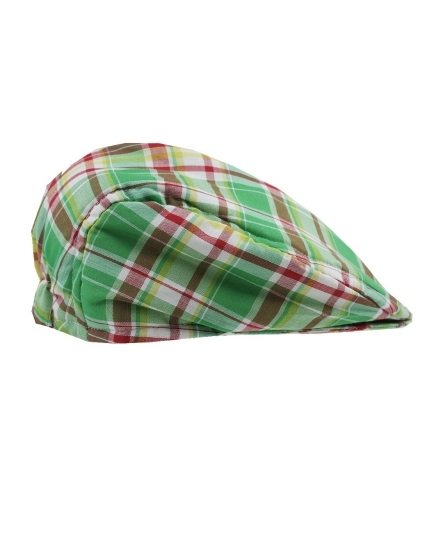 Bright red and green plaid cotton driver cap with white and yellow accent. The cap has a stretchy fit and classic plaid print. Create an ensemble look with the matching blazer shown below. 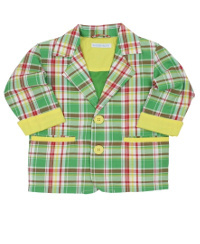 A versatile topper that easily moves into spring and summer months.